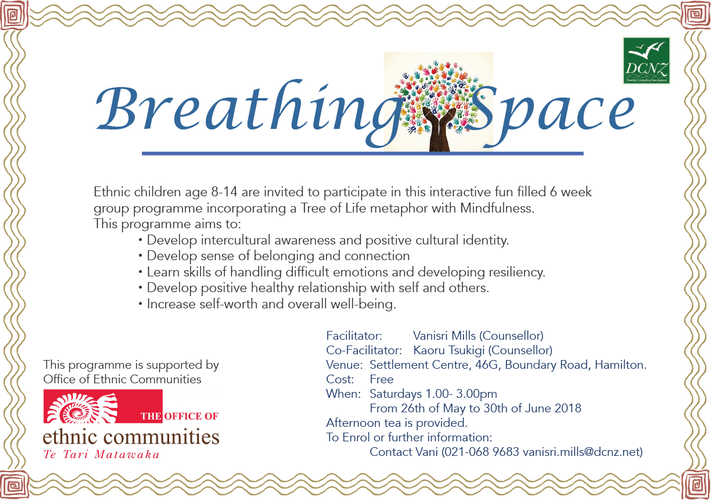 Ethnic children age 8-14 are invited to participate in this interactive fun filled 6-week group programme incorporating a Tree of Life metaphor with Mindfulness. - Develop intercultural awareness and positive cultural identity. - Learn skills of handling difficult emotions and developing resiliency. - Develop positive healthy relationship with self and others. - Increase self-worth and overall well-being. This programme is supported by Office of Ethnic Communities.